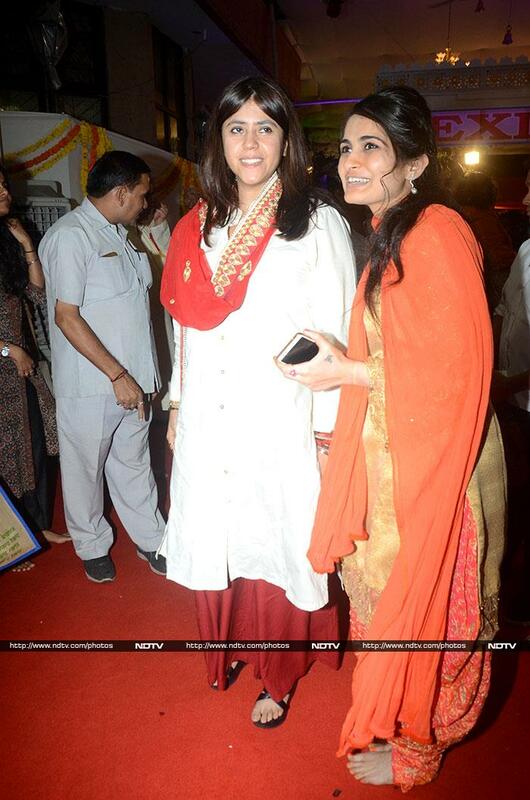 Ekta Kapoor celebrated Janmashtami at the ISKCON Temple in Mumbai on Monday. She joined several devotes and bathed Radha Krishna idols with milk at the temple. Ekta Kapoor is awaiting the launch of the TV show Kasautii Zindagii Kay 2. Actress Mona Singh was also spotted in the vicinity. Veera actress Digangana Suryavanshi was dressed up for the festivities. Ronit Roy arrived for darshan with his family. 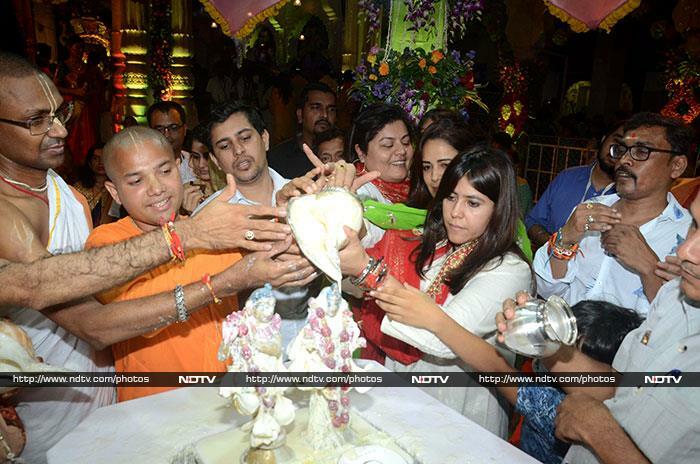 Rajkummar Rao also offered prayers at the ISKCON Temple. Raj Kundra was photographed with son Viaan. Then there was actor Sharad Malhotra.